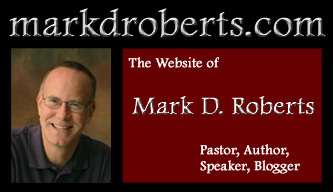 Wherever I have lived during my adult life, I’ve learned to be grateful for the beauty of that slice of God’s creation. When I lived in the Boston area, I loved the turning of the leaves in autumn and the sun shimmering on the Charles River in summer. Moving back to Los Angeles, I enjoyed the wild mountains of Southern California, which were only a short drive from where I lived. In Orange County, I was especially thankful to live only twenty minutes from Crystal Cove State Park, an undeveloped stretch of beach and seaside cliffs. 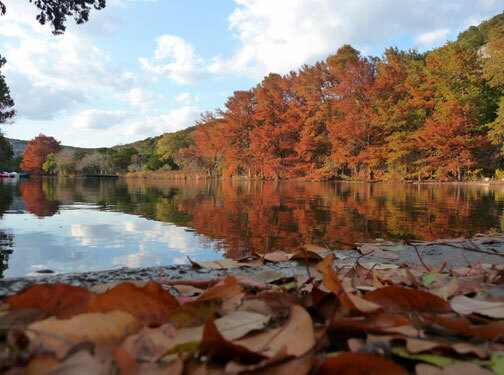 The red leaves of a Spanish Oak across a scenic portion of the Frio River. 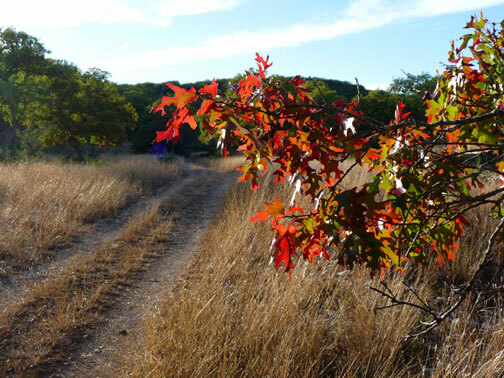 Translucent red leaves of a Spanish Oak in the Silver Creek valley. 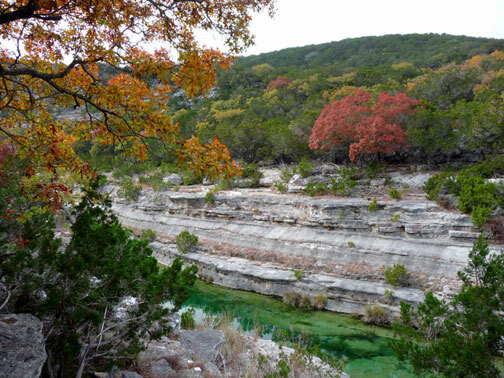 The Cypress Trees along the Frio River as they turn red-brown in autumn. For the extraordinary beauty of your creation, Lord, and for the opportunity to enjoy it, I give you thanks. Amen. Beautiful photos - nice eye for composition! Blessings on you and yours during this holiday season.